Records obtained by the ACLU of Northern California in a Freedom of Information Act (FOIA) lawsuit show that local city governments are piping automated licence plate reader (ALPR) data to Immigrations and Customs Enforcement, the organisation wrote on Wednesday. The ACLU-NC wrote the records show that more than 9,000 ICE officers have been granted access to an ALPR database run by a private company, Vigilant Systems. More than 80 law enforcement organisations in more than a dozen states have also begun sharing licence plate data with ICE, and in some cases “local police [have handed] driver information over to ICE informally, violating local law and ICE policies,” the ACLU-NC wrote. The database contains billions of records on vehicle locations captured from red-light and speed-limit cameras as well as from parking lots and toll roads that use the nearly ubiquitous and inexpensive scanners to monitor vehicle comings and goings. The ACLU-NC wrote that the documents show the Vigilant Systems database contains over five billion unique licence plate scans from private businesses, and its “commercial database” is stated to be adding “an average of 150-200 million unique records each month.” Cooperation from law enforcement has added another 1.5 billion records to the pile. The documents also claim Vigilant Systems draws licence plate info from the 50 most populous metro areas in the U.S., or roughly six out of ten people residing throughout the nation. 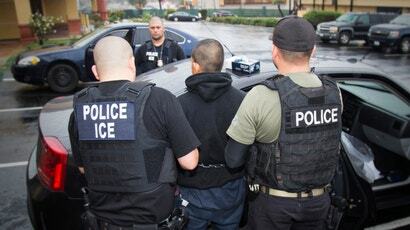 In some cases, the sharing of ALPR data may violate “sanctuary city” laws that prevent local law enforcement from assisting federal immigration authorities, the ACLU-NC added, especially when ICE uses those agencies as an intermediary to gain access to records from other police departments. “Local governments need to take immediate action to limit the exposure of local residents’ information to ICE and withhold information from fusion centres that do not do the same,” the ACLU-NC concluded.